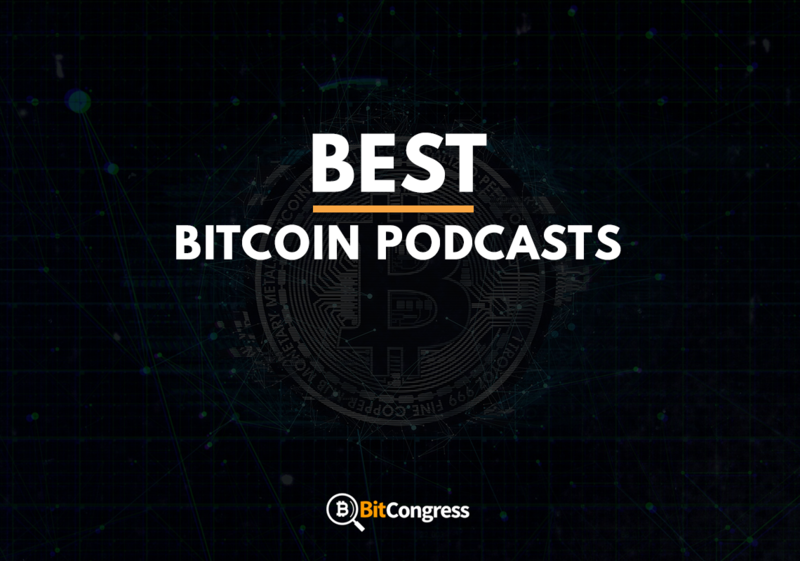 Best Bitcoin Podcasts - Learn More with Crypto Podcasts! 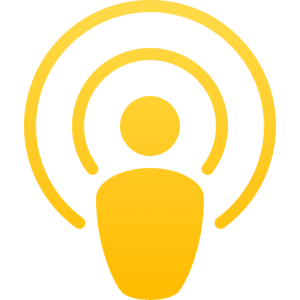 Best Bitcoin Podcasts – Learn More with Crypto Podcasts! Do you want to learn more about Bitcoin and cryptocurrency? Would you like to do it on the way to work or while you cook food? No worries, digging deep and learning more about cryptocurrency is available through podcasts. 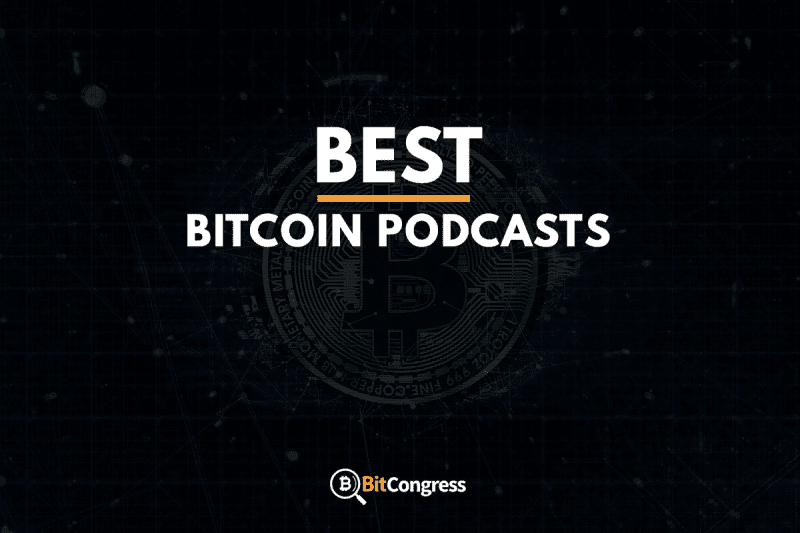 But you probably know that already, that’s why you’re here to find out which the best bitcoin podcast is! In this article, we will list, in our opinion, the best crypto podcasts. And as podcasts are a highly subjective matter (sometimes their voice just irritates the living f* out of you, or you need content that challenges you to think and learn more, rather than explaining concepts you already understand). If you are into investing one bit, you’ve probably heard of this podcast. And while the host, Patrick O’Shaughnessy, does not only focus on Bitcoin or cryptocurrency investing, he has made a 3-part documentary that is a perfect fit for a beginner called Hashpower. The documentary works perfectly to get a grasp of what Bitcoin is, the technology behind it and how to invest in it. He interviews leaders in the blockchain field to not just rely on his opinions and thoughts. The documentary can be found here to listen to for free. While we don’t have the exact statistics for our coming claim, we are fairly sure we’re right on this: Unchained is the most popular cryptocurrency podcast, and we are not surprised. Led by Laura Shin, Senior Editor at Forbes, we get to dig deep into interviews with key people in the blockchain and cryptocurrency field. Laura has leveraged her position to beat the competition, simply put. Due to her position, she was able to interview big names at the beginning such as the co-founder of MyEtherWallet. Once people got to her podcast they realized how good of a host she is and subscribed to it. We’d only recommend you to try this if you have 48 hours to spare to lock yourself out of the world and just binge-listen to each and every episode. Jokes aside, the Unchained podcast is a great way to dig deeper into the minds of the experts in this field and get new thoughts on how cryptocurrency might be used and what their ambitions are. Listen to the podcast for free here! You might have read his book the 4-hour work week, you might have seen his show on TV or you might not have heard of him at all. The Tim Ferriss Show is nothing but amazing. While this podcast doesn’t have cryptocurrency as it’s main topic or a topic it frequently covers, he did make one episode about cryptocurrency. In this episode, he sits down and talks with Nick Szabo – the legal scholar, computer scientist and cryptographer – known for his research into smart contracts and cryptocurrency. Some even speculate about him being Satoshi Nakamoto. This is yet another great podcast for beginners. There is something about how Tim Ferriss explains stuff that can make complex ideas and thoughts really easy for an average Joe to understand. Coin Mastery is like a news-hub for everything cryptocurrency related. While there is an overall theme of Bitcoin trading, since Carter Thomas, the host is an investor, there are still quite a few things to learn from the daily episodes even if you aren’t that interested in trading. We like that it is easy to catch the recent news since all the different news are aggregated into one episode released per day. Most cryptocurrency news sites are cluttery with new stuff coming every hour of the day, making it hard to always be up-to-date and not miss anything important. Coin Mastery is more targeted towards those a bit more involved in cryptocurrency, but once you have listened to the three-part documentary and Tim Ferriss podcast, you should be good to go and grasp most terms thrown around. Listen to the most recent episode here! Even though this podcast duo has split up in 2017, it was a leading force of information in the blockchain field. While you cannot really look forward to the next episode, there are still tons and tons of valuable information up for grabs on Bitcoin Uncensored. To some, the hosts can appear quite obnoxious with a lot of swearing, brash and overall being unapologetic. They treated a guest horribly, to the point that they faced legal action over this, by pointing out how little knowledge she has on blockchain and cryptocurrency. Whatever you think of that situation or of the hosts overall, there are still a lot of gems in the backlog ready to be binged. Listen to all the episodes here! With over 140+ episodes to enjoy, the Bitcoin Podcast is really a gold-mine for knowledge on Bitcoin. It’s one of the original podcasts and has been going on forever, and there is no set host. The podcast is led by everything from business consultants to mathematicians. What they have actually done is broaden The Bitcoin Podcast to become The Bitcoin Podcast Network, which is a network of podcasts that they produce – all led by different hosts and posting weekly episodes. This practically means that from this one podcast, 10 others have popped up. A 10-in-1 package! See all their podcasts here! And there we have it, the 6 best bitcoin podcasts for beginners as well as intermediate cryptocurrency enthusiasts. Give each of these a try, maybe you don’t like a hosts’ voice or maybe you fall in love with them all, either way, happy listening! Psst… Sorry for using “Bitcoin” as the overall term for “cryptocurrency”. 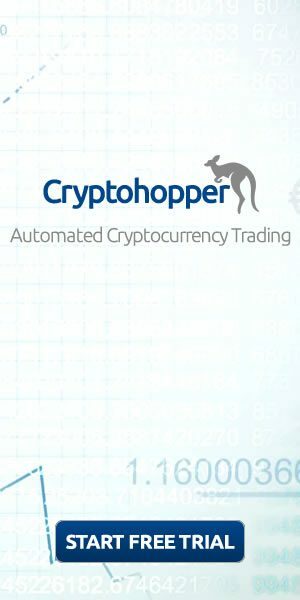 We want to reach out to all the beginners out there with this article, and their searches are usually based on bitcoin being the one and only cryptocurrency. Hopefully, after listening to these podcasts, they will understand a tad bit more.